Venous thromboembolism (VTE) is a major cause of morbidity and mortality after bariatric surgery. We designed a survey to study VTE after bariatric surgery in the Middle East & North Africa region (MENA). We used Survey Monkey and uploaded the survey in our PASMBS social media platforms. Eighty-two surgeons (63%) responded, they performed 121,369 cases and encountered 230 VTEs (0.19%). VTEs included 13 upper extremity, 103 lower extremity, 57 pulmonary embolism (PE), and 57 porto-mesenteric venous thrombosis (PMT). There was 9 VTE related mortalities constituting 4% mortality rate. The most commonly performed procedure was Sleeve Gastrostomy (56%). It was followed by Adjustable Gastric band (13%), One Anastomosis Gastric Bypass (10%), and Roux-en-Y Gastric bypass (9%). A scoring tool for VTE was used by 62% of surgeons and Caprini was the most commonly used tool and 62% of surgeons reported having at least one incident of VTE. Sequential compression devices were used by 57% of surgeons. Low molecular weight heparin was the most commonly used chemoprophylaxis. LMWH 40 mg once a day was used in 53% of the moderate risk group, 26% of the high-risk group and 6% in the highest risk group. Post-discharge, chemoprophylaxis was continued in the moderate, high and highest risk patients 82%, 95%, and 98% respectively. VTE risk assessment and the use of chemoprophylaxis for VTE is common in the MENA region. However, many patients continue to receive sub-therapeutic doses of low molecular heparin during the hospital stay and after discharge. The number of bariatric surgeries performed annually has steadily increased worldwide reaching 579,517 procedures in 2014 . With the rising number of bariatric surgeries, we expect a rise in complications including venous thromboembolism (VTE). The incidence of VTE as reported in the literature ranges from 0.07 to 1.9% at 30 days and rises to 2.1% at 180 days [2-6]. The aim of this survey is to study the incidence of VTE and the practice of VTE thromboprophylaxis in the Middle East region represented by members of the Pan Arab Society of Metabolic and Bariatric Surgery (PASMBS). PASMBS includes surgeons from the Middle East and Africa (full description of the PASMBS group was provided in an earlier publication by Nimeri, et al.) . The scientific committee of the PASMBS designed a survey to examine the incidence and practice of VTE thromboprophylaxis in our region. The survey includes 3 main parts. The first part included questions regarding the surgeon's experience, annual surgical volume, the setup of the practice, whether there is a multidisciplinary team, and the types of bariatric surgeries performed. The second part of the survey focused on VTE related questions including whether a VTE risk assessment tool was used systematically, the types of VTE prophylaxis used (mechanical, injectable, and oral chemoprophylaxis), and how the type or dose of chemo-prophylaxis regimens were altered pre and postoperatively and post discharge depending on the patient's VTE risk category. The final part of the survey evaluated the incidence and type of VTE (pulmonary embolism (PE), deep venous thrombosis (DVT), and porto-mesenteric venous thrombosis (PMT)), diagnostic methods, management strategies, and outcomes. The survey was uploaded to Survey Monkey, a link was sent to the PASMBS social media platforms and to all members of the PASMBS Telegram group in 2017 as described previously . Frequent reminders were sent to the Telegram group and via social Media platforms. The Survey was filled anonymously, and results were analyzed using Survey Monkey statistical software. In April of 2017, the survey link was sent to all PASMBS members (131 surgeons). Eighty-two surgeons (63%) responded. Fifty three percent were in academic practice, 29% in public, and 66% of the total surgeons worked in private practice (some worked in more than one setting). Sixty two percent of surgeons were more than 5 years into practice and 30% were more than 10 years into practice. Fifty three percent performed more than 125 cases a year. A total of 121,369 bariatric surgeries were performed. The most commonly performed procedure was the Sleeve Gastrectomy (56%), followed by Adjustable Gastric band (13%), Single Anastomosis Gastric Bypass (9.8%) and Roux-en-Y Gastric bypass (8.7%). Revisional procedure constituted 8% of all procedure and with the rise in primary bariatric procedures a rise in revisions is expected. Table 1. Fifty four percent of all surgeons kept a registry of their bariatric patients and 61% of surgeons used scoring tool for VTE (39% as part of the electronic medical record). The most commonly used VTE scoring tool was Caprini risk assessment in (78.6%), Padua scores in 2.4%, and none reported using the Rogers score. Others reported using practice specific or hospital specific algorithms. Sequential compression Devices were used in a standard fashion by 57% of surgeons. The incidence of VTE was 0.19%, and 62% of surgeons reported having at least one incident of VTE. There was a total of 13 upper extremity deep venous thrombus (DVT), 103 lower extremity DVT, 57 pulmonary embolism (PE), and 57 porto-mesenteric venous thrombosis (PMT). We identified a total of 9 VTE related mortalities. This would constitute a 4% mortality rate once a patient developed a VTE. As for chemoprophylaxis, patients were stratified into 3 groups based on the risk assessment score described by Caprini in 2005 : Moderate risk defined as BMI 40-50 with no personal or family history of PE/DVT (Caprini risk assessment score 3-4), high risk defined as BMI 50-60 with no personal or family history of PE/DVT (Caprini risk assessment score 5-6), and the very high risk defined as BMI greater than 60 and/or with a personal or family history of PE/DVT (Caprini risk assessment score > 6) (Table 2 and Table 3). The moderate risk group, 90% of the patients received preoperative chemoprophylaxis. The most commonly used medication was low molecular weight heparin (LMWH) 40 mg. Postoperatively; the most commonly used regimen was LMWH 40 mg once a day (53%), LMWH 40 mg twice a day (27%), and LMWH 60 mg twice a day (10%) respectively. A minority of surgeons (less than 8%) used unfractionated heparin (UF). Eighty one percent of the moderate risk group received post discharge chemoprophylaxis. LMWH 40 mg once a day was the most commonly used regimen (71% of the time) and the duration was less than 14 days 82% of the time. The high-risk group was also prescribed preoperative chemoprophylaxis 90% of the time with LMWH 40 mg or LMWH 60 mg (42% each) being most commonly used. Postoperatively; the most commonly used regimen was LMWH 40 mg twice a day (38%), LMWH 40 mg once a day (26%), and LMWH 60 mg twice a day (21%). 95% group received post discharge chemoprophylaxis. The most commonly used regimen was LMWH 40 mg twice a day for 14 days. As for the very high-risk group, 98% received preoperative chemoprophylaxis and the most used regimen was 60 mg of LMWH. Postoperatively; the most commonly used regimen was LMWH 60 mg twice a day (44%). LMWH 40 mg twice a day (28%), and LMWH 40 mg once a day (6%). Chemoprophylaxis was prescribed by 98% of surgeons post discharge. LMWH 60 mg twice daily was most commonly prescribed, the majority resumed it for 3 to 4 weeks. Furthermore; surgeons were asked whether they used factor Xa levels; 95% never used it, the remaining 5% used it selectively in very high-risk patients or in those with history of bleeding disorders. Eight percent of surgeons considered using preoperative Inferior vena cava (IVC) filters selectively in patients with a previous history of pulmonary embolism (PE) or a current deep venous thrombus (DVT) with a contraindication to anticoagulation. Our survey showed that VTE was not commonly reported by PASMBS surgeons. In addition, the use of chemo-prophylaxis for VTE was a common practice. Furthermore, most PASMBS surgeons used a VTE risk assessment tool to identify high-risk patients and most surgeons sent these high-risk patients home on chemo-prophylaxis. Similarly, data from the French national insurance database reported VTE rates of 0.34% and 0.51% at 30 and 90 postoperative days. The independent risk factors for VTE were open surgery, history of VTE, and postoperative complications and not using post discharge chemoprophylaxis . In our survey the Caprini score was the most commonly used tool to try and risk assess patients. Similarly, a meta-analysis by Pannucci, et al. evaluated the risks and benefits of VTE prophylaxis in surgical patients stratified by the Caprini score. Pannucci, et al. found that there was 14-fold increase in VTE risk in those who did not receive chemoprophylaxis. In addition, patients with score ≥ 7 had the most risk reduction with chemoprophylaxis, and there was no association between the score and bleeding risk . These standardized protocols do have failure patterns that the surgeon should be aware of such as patients requiring emergent, multiple operations such as after leaks . This practice by PASMBS surgeons is in keeping with recent recommendations regarding VTE prevention in bariatric surgery patients. For example, the position statement of the American Society of Metabolic and Bariatric surgery (ASMBS) published in 2013 recommends chemo-prophylaxis for patients after bariatric surgery because they are at a high risk for VTE . Similarly, recent studies suggested that 18% of bariatric patients are hypercoagulable due to the elevated levels of metabolic biomarkers such as leptin, C reactive protein, fibrinogen levels, and platelets are higher in these high-risk patients. In addition, waist circumference and fibrinogen levels were independent predictors of the hypercoagulable state. Furthermore; thrombophilia is found significantly more often in obese patients as up to 5.9% of obese patients will have an undiagnosed thrombophilia . Hence a more aggressive strategy to risk stratify patients and prevent VTE is necessary in bariatric surgery patients . Our study showed that there is a wide range of chemoprophylaxis agents used as well as different treatment duration. However, Low molecular weight Heparin LMWH was also the most commonly used agent across all risk groups. Similarly, Moulin, et al. showed that there are significant discrepancies in VTE prophylaxis practices . When comparing different chemoprophylaxis agents, The Michigan bariatric surgery collaborative reported that (LMWH) is more effective the UF in patients undergoing Bariatric surgery without increasing bleeding rate . In addition, LMWH was also reported as the most commonly used agent in both the French national survey and the German Bariatric Surgery Registry data study [3,14]. Furthermore, Nimeri, et al. successfully reduced VTE rates after bariatric surgery from 2.2% in 2011 to 0.35% in 2016 after switching from heparin to LMWH, initiating mandatory risk assessment using Caprini scoring for VTE and adopting an aggressive strategy for high-risk patients regarding dosage of LMWH and chemoprophylaxis after discharge . 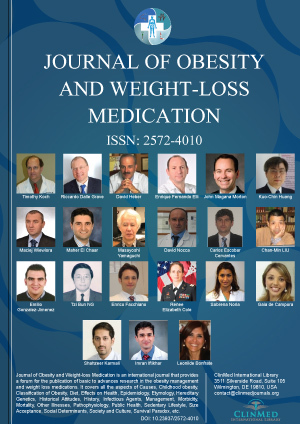 Several authors reported on the appropriate dose and frequency of LMWH after bariatric surgery. Our study showed that the once daily dose was most commonly used in the moderate risk group, and as the risk increased there was a shift towards the twice daily dosing in the high and very high-risk groups. In addition, Xa levels were rarely used to guide higher LMWH doses possibly due to cost and availability. It is important to note that standard doses of LMWH commonly used in general surgery and orthopedic patients may offer suboptimal protection in morbidly obese patients. A recent literature review showed that multiple daily doses have been shown to achieve adequate anti -Xa levels more often than once daily dose and that higher than standard doses are needed . In contrast, Steib, et al. showed that 6000 IU of enoxaparin once daily allowed more patient to reach desired anti -Xa levels compared to a 4000 IU twice daily dosing . In addition, Javanaineh and colleagues showed that a once daily dose is associated with less bleeding complications . As most VTE happen post discharge, this raises the issue of who is a candidate for extended prophylaxis . In our survey, post-discharge chemoprophylaxis was common practice and it was continued in the moderate, high and very high-risk patients 81%, 95%, and 98% respectively. The most commonly used regimens were LMWH 40 mg once a day for less than 14 days, LMWH 40 mg twice a day for 14 days, and LMWH 60 mg twice daily for 3 to 4 weeks in the moderate, high and very high-risk groups respectively. Similarly, 75% of patients in the French study by Thereaux, et al. received post-discharge chemo-prophylaxis . Currently, it is not recommended to use IVC filters in patients after bariatric surgery. A study from the Michigan collaborative showed in a propensity matched cohort study that the morbidity and mortality was higher in patients who received IVC filters mostly from complications during placement or retrieval of the IVC filters . In addition, a systematic review conducted by Rowland, et al. concluded that "there is no evidence to suggest that the potential benefits of IVC filters outweigh the significant risks of therapy" . Similarly, our survey showed that 8.2% of surgeons considered using preoperative Inferior vena cava (IVC) filters based on a very selective basis. There was a total of 13 upper extremity DVT which constitutes 6% of all VTE post bariatric surgery in our study. To our knowledge this is the second study to report upper extremity DVT post bariatric surgery. The other study reported that 25% of all DVT post Bariatric surgery occurred in the upper extremity with the axillary vein being the most common site . Our study has several limitations, first is the bias introduced with studies based on surveys. In addition, It is possible that the number of procedures performed is inflated leading to a lower incidence of VTE because of recall bias or bias introduced by a survey rather than a prospective or registry study. Sampling bias where surgeons practicing in the area might not be PASMBS members and non-response bias where surgeons with poor outcomes and higher morbidity and mortality might have avoided taking the survey to start with. Furthermore; it is important to highlight that only 54% of the surgeons used a registry for data collection. Currently PASMBS is encouraging all surgeons practicing in the region to maintain a registry which will make data reporting of such surveys in the future more reliable and accurate. Nevertheless, this study is the first study evaluating the incidence of VTE in the Middle East region. The incidence of VTE in the Middle East region appears lower than expected, yet mortality is significant if a VTE occurs. The use of VTE risk assessment and chemoprophylaxis is common in the peri-operative period and after discharge. Further research is needed to better understand the risk factors and standardize practices in our region. None of the authors (Ashraf Haddad, Ahmad Bashir, Mohamed Al Hadad, Hayssam Fawal, Abdelrahman Nimeri) has any conflict of interests. Angrisani L, Santonicola A, Iovino P, Vitiello A, Zundel N, et al. (2014) Bariatric surgery and endoluminal procedures: IFSO worldwide survey. Obes Surg 27: 2279-2289. Froehling DA, Daniels PR, Mauck KF, Collazo-Clavell ML, Ashrani AA, et al. (2013) Incidence of venous thromboembolism after bariatric surgery: A population-based cohort study. Obes Surg 23: 1874-1879. Stroh C, Michel N, Luderer D, Wolff S, Lange V, et al. (2016) Risk of thrombosis and thromboembolic prophylaxis in obesity surgery: Data analysis from the German Bariatric Surgery Registry. Obes Surg 26: 2562-2571. Thereaux J, Lesuffleur T, Czernichow S, Basdevant A, Msika S, et al. (2017) To what extent does posthospital discharge chemoprophylaxis prevent venousthromboembolism after bariatric surgery? : Results from a Nationwide Cohort of more than 110,000 patients. Ann Surg 267: 727-733. Aminian A, Andalib A, Khorgami Z, Cetin D, Burguera B, et al. (2017) Who should get extended thromboprophylaxis after bariatric surgery? : A risk assessment tool to guide indications for post-discharge pharmacoprophylaxis. Ann Surg 265: 143-150. Finks J, English WJ, Carlin AM, Krause KR, Share DA, et al. (2012) Predicting risk for venous thromboembolism with bariatric surgery results from the Michigan bariatric surgery collaborative. Ann Surg 255: 1100-1104. Nimeri A, Al Hadad M, Khoursheed M, Maasher A, Al Qahtani A, et al. (2017) The peri-operative bariatric surgery care in the middle east region. Obes Surg 27: 1543-1547. Caprini JA (2005) Thrombosis risk as a guide to quality patient care. Dis Mon 51: 70-78. Pannucci CJ, Swistun L, MacDonald JK, Henke PK, Brooke BS (2017) Individualized venous thromboembolism risk stratification using the 2005 caprini score to identify the benefits and harms of chemoprophylaxis in surgical patients: A Meta-analysis. Ann Surg 265: 1094-1103. Cassidy MR, Macht RD, Rosenkranz P, Caprini JA, McAneny D (2016) Patterns of failure of a standardized perioperative venous thromboembolism prophylaxis protocol. J Am Coll Surg 222: 1074-1080. American Society for Metabolic and Bariatric Surgery Clinical Issues Committee (2013) ASMBS updated position statement on prophylactic measures to reduce the risk of venous thromboembolism in bariatric surgery patients. Surg Obes Relat Dis 9: 493-497. Holländer SW, Sifft A, Hess S, Klingen HJ, Djalali P, et al. (2015) Identifying the bariatric patient at risk for pulmonary embolism: Prospective clinical trial using duplex sonography and blood screening. Obes Surg 25: 2011-2017. Pilar Taura, Eva Rivas, Graciela Martinez-Palli, Blasi A, Holguera JC, et al. (2014) Clinical markers of the hypercoagulable state by rotational thrombelastometry in obese patients submitted to bariatric surgery. Surg Endosc 28: 543-551. Moulin PA, Dutour A, Ancel P, Morange PE, Bege T, et al. (2017) Perioperative thromboprophylaxis in severely obese patients undergoing bariatric surgery: Insights from a French national survey. Surg Obes Relat Dis 13: 320-326. Birkmeyer NJ, Finks JF, Carlin AM, Chengelis DL, Krause KR, et al. (2012) Comparative effectiveness of unfractionated and low-molecular-weight heparin for prevention of venous thromboembolism following bariatric surgery. Arch Surg 147: 994-998. Nimeri AA, Bautista J, Ibrahim M, Philip R, Al Shaban T, et al. (2017) Mandatory risk assessment reduces venous thromboembolism in bariatric surgery patients. Obes Surg 28: 541-547. Shelkrot M, Miraka J, Perez ME (2014) Appropriate enoxaparin dose for venous thromboembolism prophylaxis in patients with extreme obesity. Hosp Pharm 49: 740-747. Steib A, Degirmenci SE, Junke E, Asehnoune K, Figier M, et al. (2016) Once versus twice daily injection of enoxaparin for thromboprophylaxis in bariatric surgery: Effects on antifactor Xa activity and procoagulant microparticles. A randomized controlled study. Surg Obes Relat Dis 12: 613-621. Javanainen MH, Scheinin T, Mustonen H, Leivonen M (2016) Retrospective analusis of 3 different antithrombotic regimens in bariatric surgery. Surg Obes Relat Dis 12: 675-680. Birkmeyer NJ, Finks JF, English WJ, Carlin AM, Hawasli AA, et al. (2013) Risks and benefits of prophylactic inferior vena cava filters in patients undergoing bariatric surgery. J Hosp Med 8: 173-177. Rowland SP, Dharmarajah B, Moore HM, Lane TR, Cousins J, et al. (2015) Inferior vena cava filters for prevention of venous thromboembolism in obese patients undergoing bariatric surgery: A systematic review. Ann Surg 261: 35-45. Safdie FM, Dip F, Ardila-Gatas J, Moon S, Lo Menzo E, et al. (2015) Incidence and clinical implications of upper extremity deep vein thrombosis after laparoscopic bariatric procedures. Obes Surg 25: 1098-1101. Ashraf Haddad, M.D. GBMC, Jordan Hospital, Queen Noor Street, Amman, 11152, Jordan, Tel: 00962-6-5609067. © 2019 Haddad A, et al. This is an open-access article distributed under the terms of the Creative Commons Attribution License, which permits unrestricted use, distribution, and reproduction in any medium, provided the original author and source are credited.